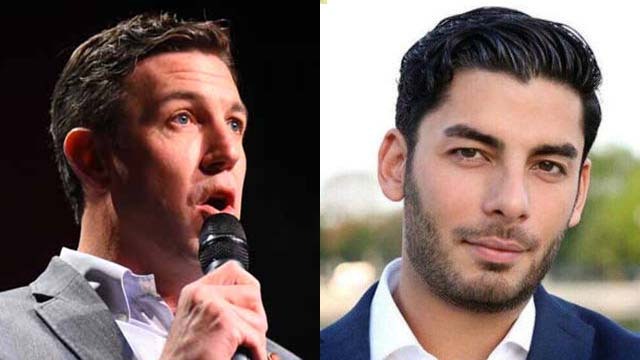 Congressman Duncan Hunter spoke to a gathering in Ramona earlier this week and continued his dishonest, racist campaign against his challenger, Ammar Campa-Najjar. Hunter ridiculously and offensively stated that Campa-Najjar is part of an effort by radical Muslims to infiltrate the U.S. government and suggested that electing Campa-Najjar may lead to the implementation of Sharia law and Islamism in America. As veterans, we stand firmly against the lies and the grossly un-American race-baiting employed by Hunter. These are the statements of a desperate man who has been criminally indicted and is sinking to deplorable depths in order to stay in office. Hunter is an affront to the values of honor, courage and commitment that were at the core of our service as veterans. We will begin with Hunter’s lies. He implies that Campa-Najjar is a Muslim. This is patently false. Campa-Najjar is a lifelong Christian, raised by his Christian mother. Growing up, he held jobs as a janitor, and later as a youth minister, in his local church here in San Diego County. He has repeatedly asserted his Christian faith, which helps guide him in his campaign to bring greater opportunities to all San Diegans, rich and poor. Next, Hunter suggests that Campa-Najjar is a threat to America’s security. This too is clearly false. When he worked at the White House and then the U.S. Department of Labor from 2013 to 2017, Campa-Najjar held a security clearance, which he received only after an extensive FBI background check. In contrast, because of the criminal indictment that was just entered by the U.S. Attorney on numerous counts of campaign finance fraud, Hunter would not be able to obtain a security clearance today. So while the FBI has rightfully concluded that Campa-Najjar poses no threat to American security, Hunter, given his extensive financial debts, poses a risk of falling prey to foreign influence. Hunter shamefully alleges that Campa-Najjar is connected to and responsible for actions taken over 45 years ago by a relative who died almost 20 years before his birth. Campa-Najjar is no more responsible for such actions than Hunter’s wife is for the corruption for which Hunter has been indicted. Finally, as veterans, we take particular offense to the clear and racist suggestion that Campa-Najjar’s heritage or ethnicity make him less American than Hunter, or in any way less fit to serve in office. Campa-Najjar personifies the values and American exceptionalism that we fought to defend while in uniform. He has served this nation honorably and seeks to continue to do so in Congress, in an effort improve the lives of his fellow citizens. We know of nothing more American. It is Hunter, as the recent indictment makes clear, who undermines American values and serves himself before others. 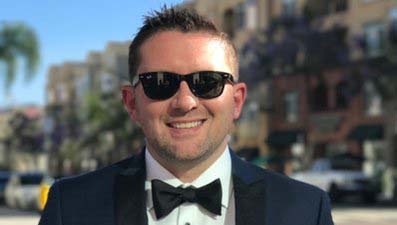 Shawn VanDiver is co-chair of Veterans for Ammar, a group of San Diego veterans whose service spans every conflict from Korea to Afghanistan.